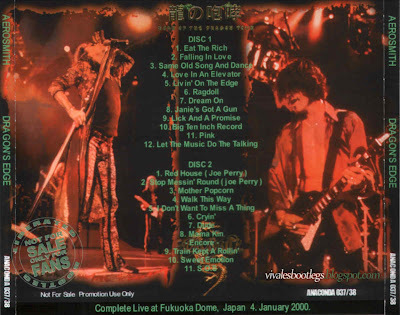 Recorded Live at Fukuoka Dome, Fukuoka, Japan - January 04, 2000. Excellent Audience Recording :: Japanese CDR bootleg :: CBR 320 kbps. Files: 23. :: Size: 263.96 MB (mp3) / 694 MB (flac). 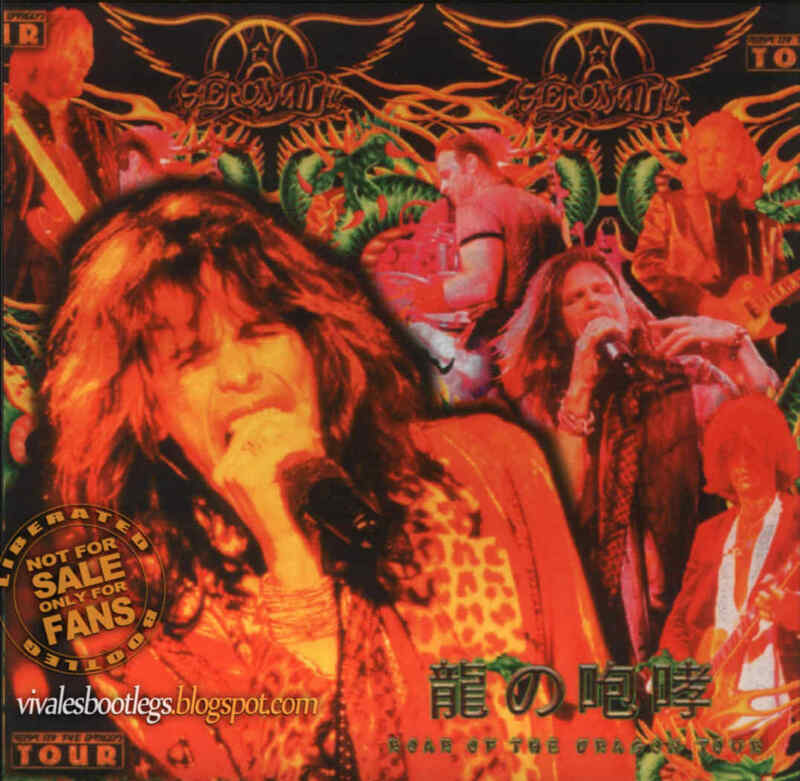 Personnel: Steven Tyler - Lead Vocals, Harmonica, Percussion :: Joe Perry - Guitar, Backing Vocals :: Brad Whitford - Guitar :: Tom Hamilton - Bass :: Joey Kramer - Drums, Percussion. 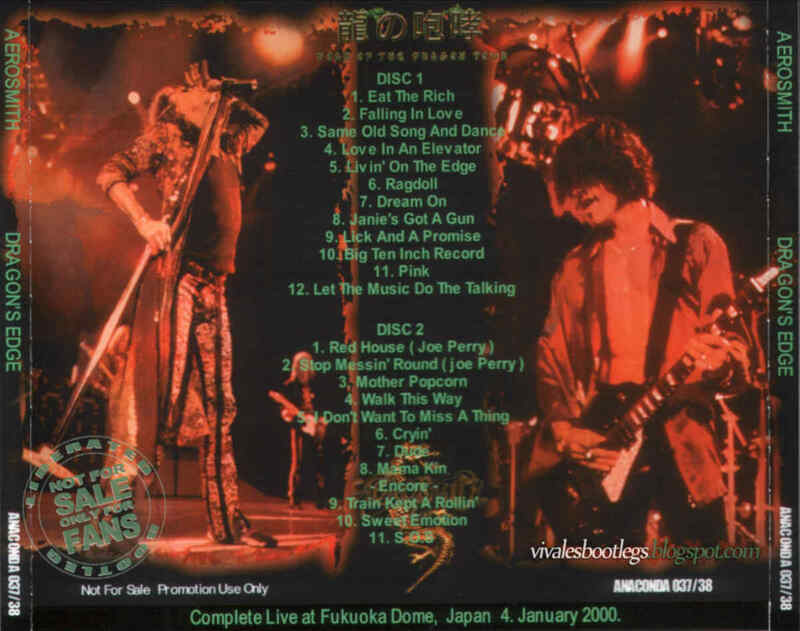 Notes: Awesome sound quality audience recording of the complete January 4th 2000 Fukuoka Dome, Japan concert.<-(Info taken from rockthisway.de).